Product prices and availability are accurate as of 2019-04-20 09:37:38 EDT and are subject to change. Any price and availability information displayed on http://www.amazon.com/ at the time of purchase will apply to the purchase of this product. 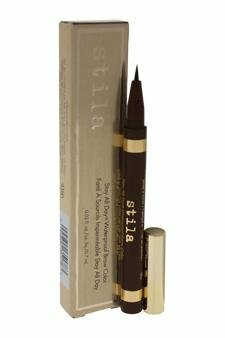 Stila Women's The Stay All Day Waterproof Brow Color. The Stay All Day Waterproof Brow Color in Medium is an easy-to-use, waterproof brow color that stays on all day! 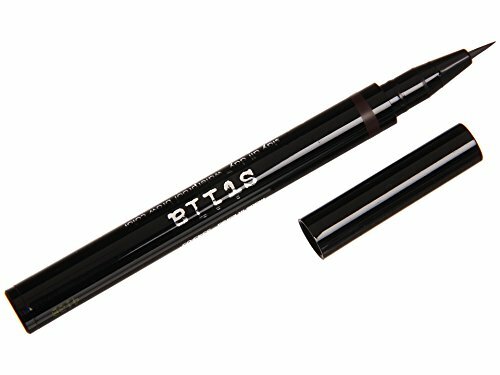 With a specially-designed brush tip, Stila's new Stay All Day® Waterproof Brow Color leaves your brows looking naturally defined. The formula glides on with ease; won't smudge or run, and stays in place until you say when! Size: .02 fl. oz Ingredients: Water/Aqua, Acrylates Copolymer, Pentylene Glycol, Butylene Glycol, Polysorbate 20, Phenoxyethanol, Alcohol, Sodium Dehydroacetate, Honey Extract/Mel Extract, Propylene Glycol, Chamomilla Recutita (Matricaria) Flower Extract, Aloe Barbadensis Leaf Juice Powder, May Contain (+/_) Yellow 5 (CI 19140), Red 33 (CI 17200), Blue 1 (CI 42090). By Stila. This item is final sale. Manufactured by Stila. A brand-new, unused, and unworn item (including handmade items) in the original packaging (such as the original box or bag) and/or with the original tags attached.